San Jose, Calif., March 26, 2018 – Destination: Home today announced that Cisco has committed $50 million over the next five years to help end homelessness in Santa Clara County. Destination: Home will utilize this significant partnership with Cisco to leverage existing public resources to build more housing for the most vulnerable residents, improve technology capacity across the homeless services sector, and invest in promising and evidence-based practices to most effectively help individuals and families in need of support and stability. Silicon Valley is home to some of the nation's most prosperous communities, yet in Santa Clara County approximately 7,400 people are without home and 2,000 are considered chronically homeless — the third highest rate of chronic homelessness in the United States. To solve this crisis, there must be supportive policies in place, political and community will, and funding to acquire land and build the housing. This unprecedented private sector commitment from Cisco represents a unique opportunity for the community. With Santa Clara County voters approving Measure A in 2016, a $950 million housing bond with $700 million dedicated to increasing the supply of Extremely Low Income and Supportive Housing, this new funding from Cisco will give Destination: Home the ability to leverage, innovate, and fund the best solutions, programs, and approaches available to end homelessness in the region. "We have said for a long time that it is up to all of us to end homelessness in our community," said Jennifer Loving, CEO of Destination: Home. "Cisco has fully embraced that concept, and is stepping up in a big way to provide the type of critical private sector leadership and substantial funding that is necessary to address this crisis head on. 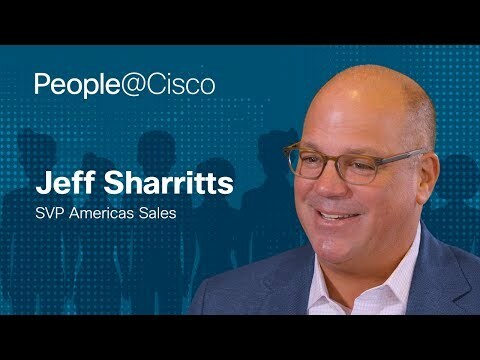 We couldn't be more thrilled or grateful to have Chuck Robbins and the Cisco team at the table." "We can put an end to homelessness in Santa Clara County and there is no better partner in this work than Destination: Home," said Chuck Robbins, Chairman and CEO of Cisco. "I hope to join together with other business leaders across the technology industry so that with our collective creativity and innovative spirit, we can create a thriving community for all—including those who need our help the most." "One of the reasons that Silicon Valley will continue to thrive is because of the leadership of people like Chuck Robbins and generosity of companies like Cisco who invest in our community in a meaningful and compassionate way. "—Cindy Chavez, Santa Clara County Board of Supervisors. "My deepest thanks to Chuck Robbins and Cisco for their leadership, collaboration and commitment to solving our community's homelessness crisis. Cisco's extraordinary gift will go a long way to helping house more of our homeless neighbors, and serves as a prime example of how our community is coming together to confront some of our greatest challenges. "—Sam Liccardo, Mayor of San Jose. Cisco has made the first $20 million of its $50 million commitment to this work through the Cisco Fund at the Silicon Valley Community Foundation. See how Destination: Home is changing lives. Read the blog from Cisco Chairman and CEO Chuck Robbins. Destination: Home is a public-private partnership serving as the backbone organization for collective impact strategies to end homelessness in Santa Clara County. The organization drives and aligns resources to create permanent housing, support technology-based solutions, and develop innovative and promising approaches to serve the most vulnerable residents in the community. As a convener, advocate, resource developer, and funder for the issue of homelessness in Silicon Valley, Destination: Home is improving how systems work together to prevent and end homelessness, while realizing the vision that no one sleeps outside.